Leevi valikoitui yhdeksi testattavaksi Whippet-Harrastajien DLA-testaukseen. Leevin haplotyypit olivat whip 2 & whip 1. Leevi was DLA-tested and his haplotypes were whip 2 & whip 1. 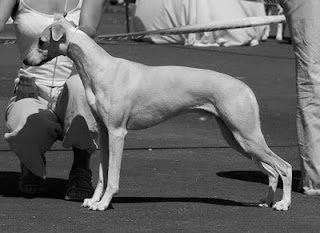 Whip 1 type can be found from 39,5% from all examined Whippets. Whip 2 from 17%.